"Your Outdoor Adventure Base Camp"
A naturalists getaway 3 acre campground located in Quebec; minutes from Pembroke, Ontario! Explore Canadian nature at it's best only 5 mins from Downtown Pembroke located beside the Quebec tourist information building across the interprovincial bridges. Located within site is a convenient store which offers groceries, water, ice, liquor, beer and all those other necessities. Chip stand, restaurant/casino/bar, golf course/driving range and gas station/garage all walking distance from the campground. This is a green choice, park your car and get emerged with all you need around you. 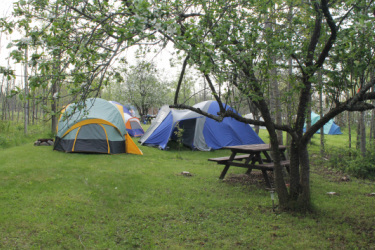 Park and walk-in campsites make it safe and natural all around. This privately owned campground is designed for the naturalist at heart, so don't be surprised with the curious wildlife that calls this place home. There are many feeders, bird and bat houses and nesting areas for the birder to enjoy; a photographers playground. There are multiple eco systems to explore and a vast variety of plants and trees including a half dozen apple trees to help yourself to. Superb offshore fishing, with an abundant number of species to challenge yourself with. Catch and release or enjoy for dinner.Excellent flat-water & white-water canoeing and kayaking for all paddling levels right from your campsite! Sites are open or shaded with stoned fire pits and picnic tables. Starting on a class 1 rapid, we have four water channels that converge into one right off our lot give you many options for white-water paddling. You can choose your level and explore the waters at your own risk right off the shores of Adventure Source Expeditions! Come enjoy a campfire; listen to the sounds of the river; surround yourself with the natural beauty and solar powered lighting on our night trails, explore the rocky shoreline... find yourself in the wild! 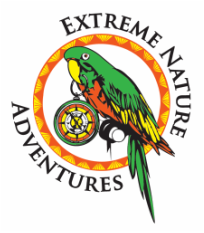 PARTNERSHIP WITH EXTREME NATURE ADVENTURES Costa rica! Vibe Marketing Plus will help you build an integrated online website! Brand your business to thousands of viewers. Expand your borders with Vibe!